When it comes to hunting and fishing, sometimes the simpler the better. The 1546 Retriever Jon is just that: simple. 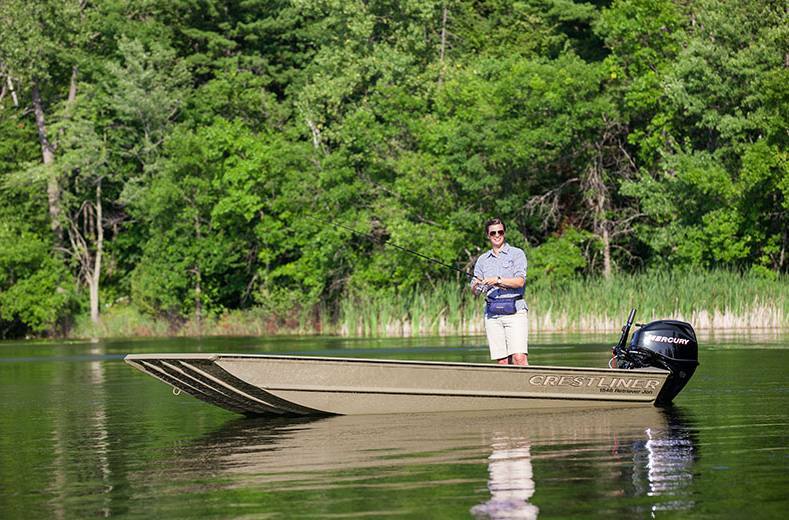 This aluminum jon boat offers superior durability with Crestliner’s legendary all-welded aluminum hull, an open floor plan with flat floor for sure-footed easy maneuverability and a transom ready for a tiller engine. 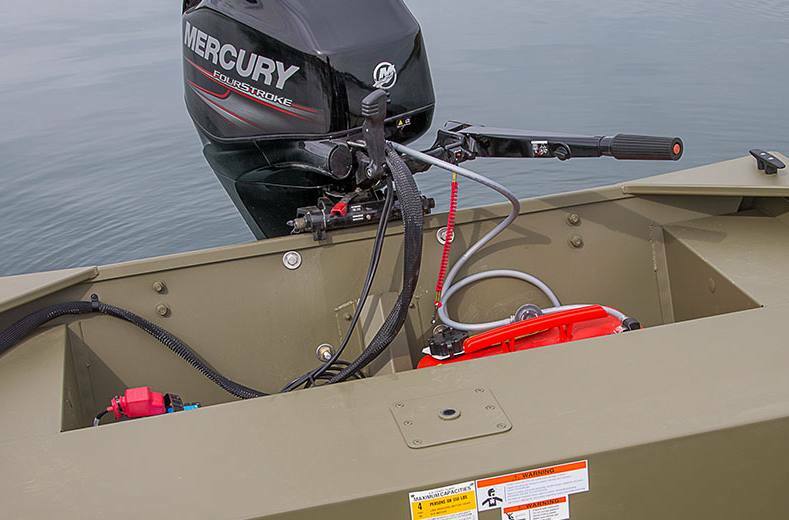 This all adds up to exactly what an outdoorsman needs in a boat. 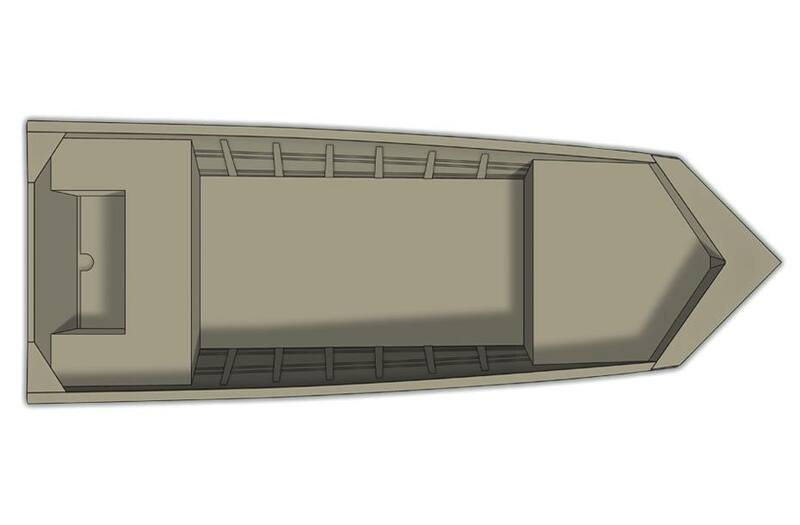 Bow Platform: Elevated bow casting deck for optimal vision while fishing. 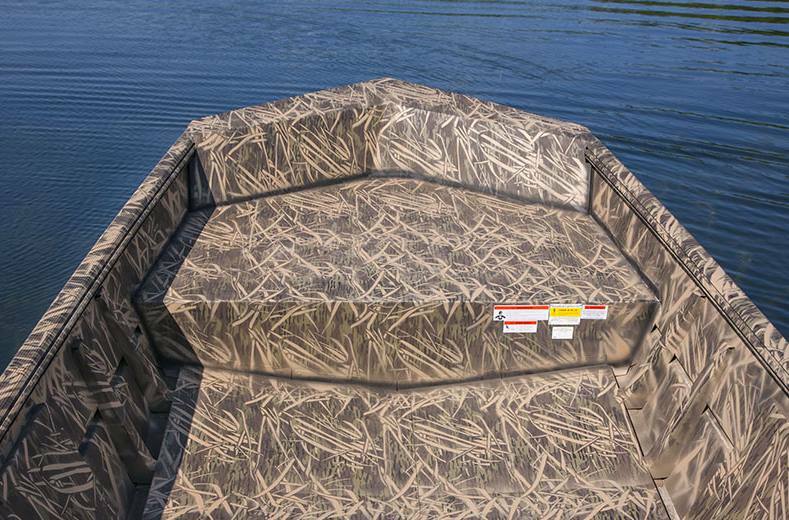 Flat Floor: Built-in flat floor ensures stability while you're angling. Lock Track Gunnel System: Our exclusive Lock Track Gunnel System allows accessories to be quickly mounted, adjusted and removed, ensuring that you're always properly outfitted. 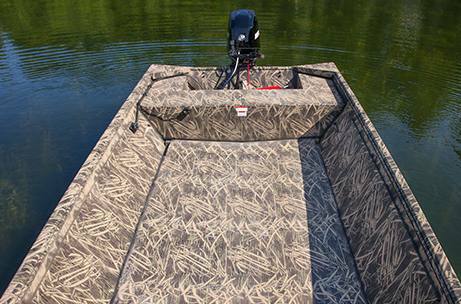 Camouflage Paint: With camouflage paint, your boat stays out of sight. 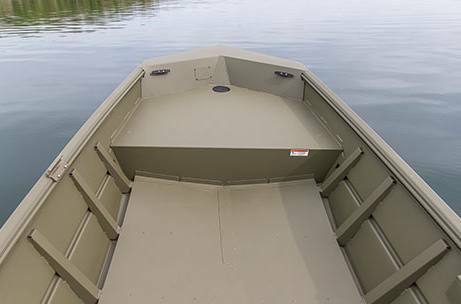 Crest-Liner Interior Coating: Non-slip, durable and easy to clean, with Crest-Liner interior coating you can focus on the catch. Camouflage paint optional. Deluxe Seat: Extra wide for added comfort and stability. The cushioned backrest conveniently folds down. Overall Length: 15 ft. 1 in. Weight (Boat only, dry): 290 lb. Aluminum gauge bottom: 0.080 in. Aluminum gauge transom: 0.080 in. *Note: Does not include Camouflage paint. If Mossy Oak Breakup is selected, seat will match.